Eric Dier joined Spurs in the summer of 2014 as a promising, but raw, young centre-back. Having come through the ranks at Sporting Club of Portugal, he came over with decent technique and a good head for the game, but he was far from the finished article. In his first season he ended up playing 36 times in all competitions, mainly at right-back or in his more conventional centre-back position. Generally, Dier did a decent job in his first campaign at the club and impressed with his strength, composure and versatility. Over the course of the season, however, Spurs identified the need for a new defensive midfielder. Despite Dier doing relatively well in the games he featured in, the defence on the whole performed badly and this was reflected in the 53 league goals conceded – the most out of the top-13-placed clubs that season and the joint 6th highest conceded in the Premier League overall. Spurs showed an interest in many players over the summer – most notably Southampton duo Morgan Schneiderlin and Victor Wanyama – as well as making a last-minute swoop for Belgian, Axel Witsel, but were ultimately unsuccessful in their pursuits. During this time, Dier was played as a defensive midfielder in many of Spurs’ pre-season games, impressing in a role largely unfamiliar to him. As the last few days of the summer transfer window wound down it became clear that Pochettino – rightly or wrongly – had decided against spending big on a new recruit and had instead placed his faith in the 21-year-old Dier to feature as one of his first choice central midfielders. Social media went ballistic with meltdowns galore. Pochettino was accused of not knowing what he was doing. Tottenham chairman, Daniel Levy was, again, not backing his manager. Dier was clearly a disaster waiting to happen and the faith placed in him misguided. Evidently, over the course of the next six months, Dier went on to prove himself as an excellent defensive midfielder, a vital cog in the Spurs side and one of the first names on the team sheet. Pochettino had been vindicated – proven right in thinking that this inexperienced centre-back could be moulded effectively into a formidable midfield enforcer. Few would dare question this logic now and rightly so. Which brings me to the present day scenario at Spurs. I wrote recently about the urgent need to bring in another striker in the January transfer window – partly to provide Pochettino with more options, but in the main to protect Harry Kane from the prospect of having to play 60+ games this season with no direct backup. Obviously this did not happen. Amidst more fan unrest, the window closed with Spurs failing to make any notable signings and Harry Kane remains the only recognised senior striker at the club. When pressed on this, Pochettino has talked about the likes of Nacer Chadli and Heung-Min Son being able deputies to Kane, but many have scoffed, remaining unconvinced by this temporary solution. However, the numbers do not lie. Chadli certainly weighed in with goals last season – scoring 13 in 45 games in all competitions – and is currently in a rich vein of form having scored four in as many games. Similarly Son has shown an eye for goal at both club and international level in the past, having scored 29 goals (in 87 games) over his two seasons at previous side Bayer Leverkusen, and 16 in 47 games for the South Korea national team. Both player’s records equate to roughly one goal in every three games – a ratio not to be sniffed at and one that would hold up well in the Premier League. Clearly, neither Chadli or Son seem to have played much as a out-and-out central striker over the years, however in a system where players interchange positions frequently and with Kane rarely remaining as the most advanced player on the pitch, is the need to have this experience as vital as some would suggest – particularly if Chadli and Son are able to achieve anything approaching a one-goal-in-three ratio for the rest of the season? In the process of converting Dier to an excellent defensive midfielder, Pochettino has proven he has the ability to identify a player’s strengths and find a suitable role for him in his system. Chadli and Son may not be seen as strikers by most, however Pochettino has obviously spotted something in them that makes him feel they can do a job for him when called upon – to the point where he did not feel the need to bring someone in from outside the club. Put simply, and knowing what we know about his eye for a player, if Pochettino feels Chadli and Son are good enough to cover for Kane, who are we to argue? In the end, only time will tell if the decision not to sign another striker in January will impact the remainder of Tottenham’s season as well as Harry Kane’s long-term fitness. Best case scenario, the club will have three individuals available to take up that role. Worst case scenario, Kane will be the only effective option. However, over time, Pochettino has gone some way to earning the trust of the Spurs fanbase even when many questioned his decisions initially, and it is, again, time for them to put their faith in him, as the club progresses in one of the most promising seasons the club has seen in years. 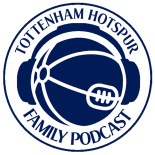 This entry was posted on 09/02/2016 by javadmovahedi in Uncategorized and tagged COYS, Mauricio Pochettino, spurs, thfc, tottenham fc, Tottenham Hotspur, Tottenham Hotspur Football Club.